Long lasting with no crash. However, just because these ingredients individually may deliver on these benefits doesn’t mean that Orange Brainwash as a whole might do anything good for you. So, how are we to know if Orange Brainwash as a whole even works? Oh, I know: let’s read my Orange Brainwash review! Conclusion: Does Orange Brainwash Work? By Controlled Labs, Orange Brainwash is a smartly stacked “Nootropic, Energy, Focus & Mood Enhancer” that comes delivered in a delicious powder scoop format. The powder scoops aren’t only delicious but sizable enough to sufficiently dose each of the ingredients in this stack, with the featured ingredient (ALCAR) coming in hot at 2,000 mg. While Orange Brainwash gives off major caffeinated pre-workout vibes, the caffeine content in this stack is modest and smartly paired with L-theanine, a calming compound sourced from green tea. Other Ingredients: Organic Rice Syrup Solids, Maltodextrin, Citric Acid, Silicon Dioxide, Natural & Artificial Flavors, Calcium Silicate, Acesulfame Potassium, and Sucralose. Initial (first serving) Directions: Start by taking 1/2 serving mixed in 4 ounces of cold water to assess your individual tolerance. If you experience any unusual occurrence, stop and consult your doctor. Directions for Regular Use: Mix 1 serving in 8 ounces of cold water and drink before breakfast or your workout. Consume adequate water on a daily basis. Acetyl-L-Carnitine (ALCAR) – This antioxidant amino seems to improve mitochondrial energy output by increasing fatty acid fuel to mitochondria. The idea that ALCAR helps convert fat to energy makes this a popular ingredient among bodybuilders as well as nootropic nerds. More on ALCAR. L-Tyrosine – Under conditions of heavy stress and fatigue, the brain converts natural L-tyrosine reserves to create catecholamine neurotransmitters. When L-tyrosine levels deplete, brain fog rushes in. Supplementing L-tyrosine may help keep mood and focus sharp. More on L-Tyrosine. Alpha GPC 50% – A hefty amount of alpha-GPC, a cholinergic nootropic that may increase neurotransmitter acetylcholine activity for better memory, learning, and exercise performance. More on Alpha GPC. Hericium erinaceus (Lion’s Mane Mushroom) – Pretty surprised and impressed by this addition. Lion’s mane mushroom is a cool, fungal nootropic that seems to improve NGF activity for better brain building activities. Great for cognitive longevity. More on Lion’s Mane Mushroom. 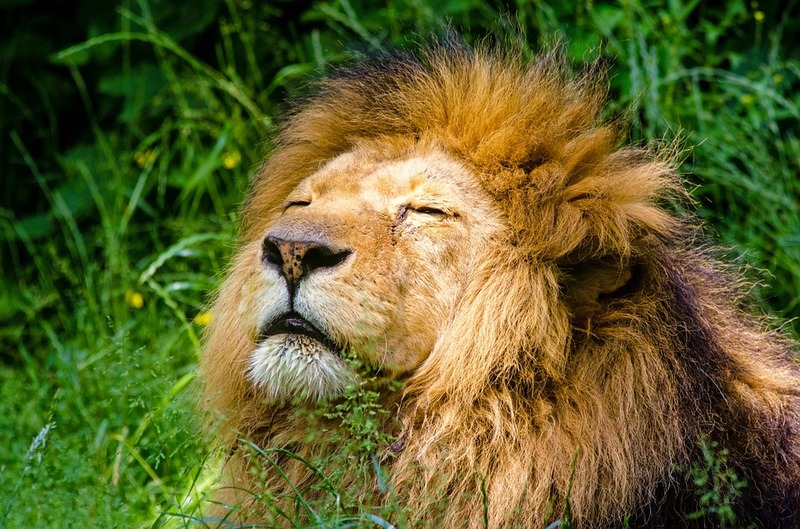 When the lion’s mane mushroom hits. L-Theanine – Love this nootropic. Sourced from green tea leaves, L-theanine is an anxiolytic (anti-anxiety) compound that complements caffeine well by reducing the jittery side effects of stimulants while sustaining their energy and focus benefits. A smart addition here, accompanying the caffeine anhydrous below. More on L-Theanine. Bacopa Leaf Extract 50% Bacosides – As one of the most researched herbal nootropics, Bacopa is an effective, natural, multi-purpose brain booster that improves various measures of cognition, including memory, learning, and high-order cognitive processes. More on Bacopa Monnieri. Caffeine Anhydrous – Caffeine, baby. Orange Brainwash supplies a decent amount (150 mg) for mental focus; not too much, not too little. Pairs well with the 200 mg L-theanine above. More on Caffeine. SerinAid® (50 mg Phosphatidylserine) – Awesome phospholipid compound for cognitive clarity and longevity. Phosphatidylserine’s brain building benefits make it a great choice for daily brain maintenance and repair. More on Phosphatidylserine. AstraGin® (Astragalus Root Extract and Tienchi Ginseng Root Extract) – While Ginseng may have adaptogen and energy benefits for brain and body performance, AstraGin® seems primarily geared for improving amino absorption, thereby improving the effects of the amino ingredients (e.g., ALCAR, L-Tyrosine) in this formula. More on Ginseng. Theobromine – Known as the “Love Drug” compound in dark chocolate, theobromine is a feel-good caffeine-like ingredient that may have vasodilatory effects, increasing circulation throughout the brain and body. Toothed Clubmoss Aerial Parts Extract (1% Huperzine A) – This potent, semi-synthetic compound may enhance acetylcholine activity by inhibiting acetylcholinesterase, the enzyme responsible for acetylcholine breakdown. More on Huperzine-A. 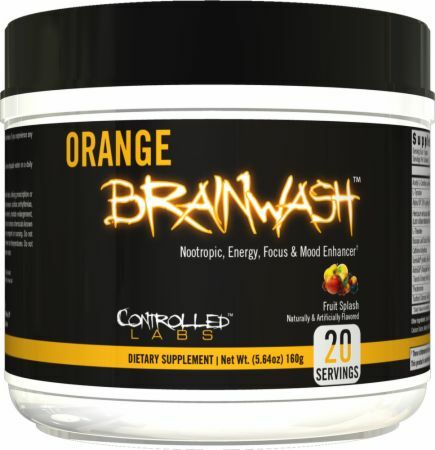 Orange Brainwash is a well-formulated nootropic cognitive enhancer dressed as a mind-melting caffeine powder. And I’m happy to be wrong on this one. Sure, caffeine’s great. There’s a reason we all love it: it works, and it works reliably and well. However, many supposed “brain health” cognitive enhancement supplements falsely use caffeine to give off the impression that their supplement works; that their supplement is truly enhancing your cognitive processes. In reality, caffeine may have impairing effects on cognition. Unless, of course, it’s smartly stacked with L-theanine. And Orange Brainwash has the L-theanine, baby. The mix of caffeine + L-theanine is cool, acutely boosting brainpower upon your first serving of this stuff. Yet, the supplement supplies much more than these two ingredients, stacking up an impressive mix of neuroprotective nootropics and brain boosters. For example, after a couple weeks of supplementation, Bacopa monnieri may significantly improve memory and learning while reducing amyloid plaque build-up for cognitive longevity. And the Lion’s Mane Mushroom may improve nerve growth factor (NGF) activity for better brain building over time. In other words, Orange Brainwash truly “washes” your brain, cleansing it from brain-depleting neurotoxins for clearer thinking in the long-run. And by using the powder scoop format, Orange Brainwash is better able to sufficiently dose its nootropics, ensuring that you’re getting enough of everything in this smart stack. Despite the extreme design, Orange Brainwash is a smartly stacked mix of brain healthy nootropics that genuinely improves cognition rather than simply stimulating mental processes with synthetic energy. The multi-focus on acute brain boosts (via caffeine + L-theanine) and long-term cognition enhancement make Orange Brainwash a great brain health supplement for a wide demographic of nootropic enthusiasts. If you’re a smart shopper, you can find Orange Brainwash at a significantly cheaper, affordable price, as compared to the price listed on the company’s website. While the powder scoop format ensures better ingredient dosages, the flavored powder does come with several junky additives that are otherwise not found in cleaner capsule formats. Pairing caffeine with L-theanine is smart here, yet the caffeine is still unnecessary to a nootropic formula. I still think it’s better to stack caffeine-free supplements with an optional side of caffeine (e.g., with my morning cup of coffee). Yes, even for a supplement of this impressive quality, that seems a bit expensive. Fortunately, that’s only the price listed on the Controlled Labs website. If you search elsewhere, say Amazon or Bodybuilding, you’ll find this supplement listed at nearly half that price ($31.99). My recommendation is obvious: if you want to buy Orange Brainwash, do so through Amazon or Bodybuilding. Orange Brainwash’s design might appeal to a more go-getter, bodybuilding crowd rather than the health-conscious nootropic geek. However, the formula works for both, supplying some exercise enhancing compounds with long-term brain boosters. Great for the academic, the hard-worker, and the active lifestyle types. You can buy Orange Brainwash through the Controlled Labs website, as well as several online retailers such as Amazon and Bodybuilding. Read my Best Nootropics on Amazon list. Yes, Orange Brainwash works, and it works very well. 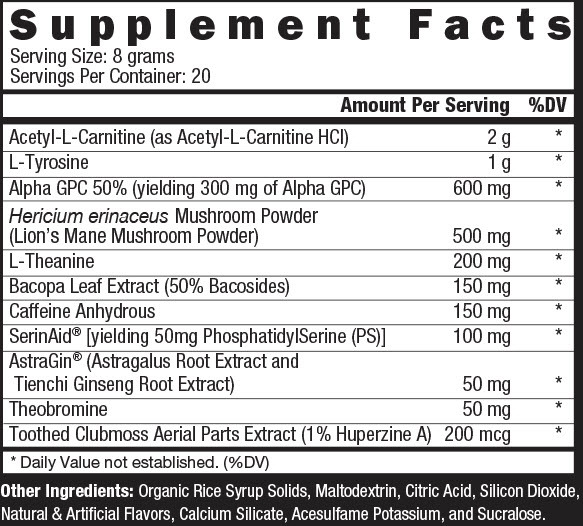 While many of the nootropics in this stack aren’t exactly the most unique (you’ll find ALCAR and Bacopa in many, many brain health stacks), there are a few notably unique features to this supplement, including the brain boosting Lion’s Mane and amino enhancing AstraGin®. 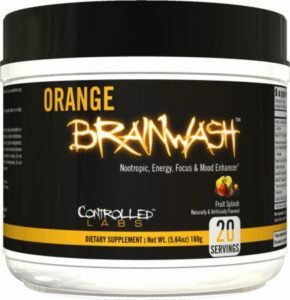 Orange Brainwash is a surprisingly smart stack of nootropics, and I say “surprising” because it doesn’t give off genuine “nootropic-y” vibes at all. Perhaps all these supplement reviews have made me a little jaded. But, fortunately, we have supplements like Orange Brainwash to keep me afloat. (And to keep my mood, memory, and focus in working order.) For other awesome brain boosting supplements, I recommend checking out my Best Nootropic Supplements of 2018 list. Apologies for leaving this in the comment section here – I was wondering if there was a contact email for you but could not find one anywhere despite my searching. Any direction is appreciated! Please feel free to email directly.